T vessels that with larger capac- natively – part of the logistics solution. 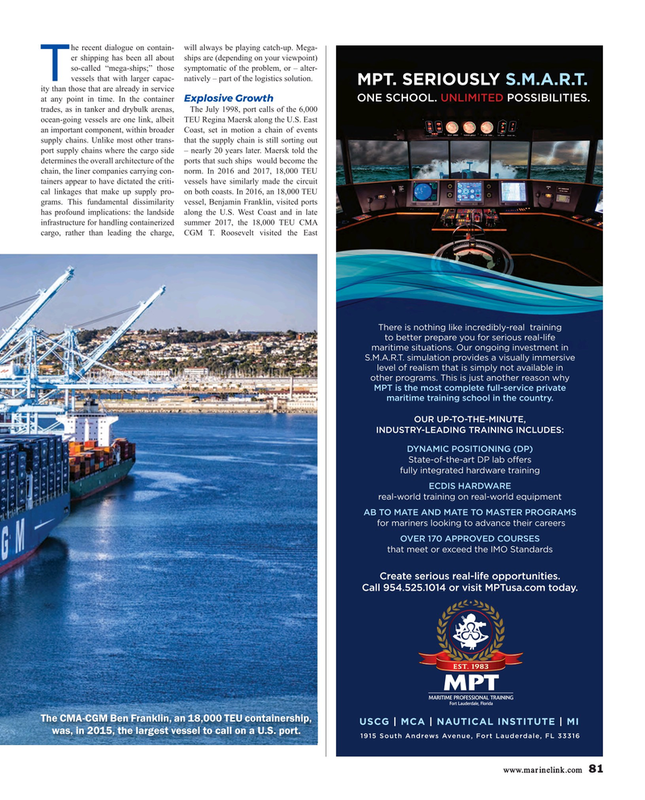 MPT is the most complete full-service private maritime training school in the country. Call 954.525.1014 or visit MPTusa.com today. USCG | MCA | NAUTICAL INSTITUTE | MI was, in 2015, the largest vessel to call on a U.S. port.